Preheat a non-stick cooking pan on a medium-high heat and spray some non-stick cooking spray or add a little bit of oil or butter. In a bowl or shaker cup add all of the ingredients. Pour the mixture into large bowl or plate. Dip each slice of whole wheat bread into the mixture. After that,serve on a plate and top with your favorite toppings. Everyone like french toast.Especially for breakfast.I like too.It is so sweet,yummy,and melting in your mouth when eating.This is one of my favorite breakfasts.I really enjoy it.There are many different recipes and variations of french toast.Some people like to add sugar,butter,oil and other not so healthy ingredients for you.Especially if you are on a diet,these ingredients are not the best.I do not like to use sugar in anything.To substitute it,I am using powdered or liquid stevia. 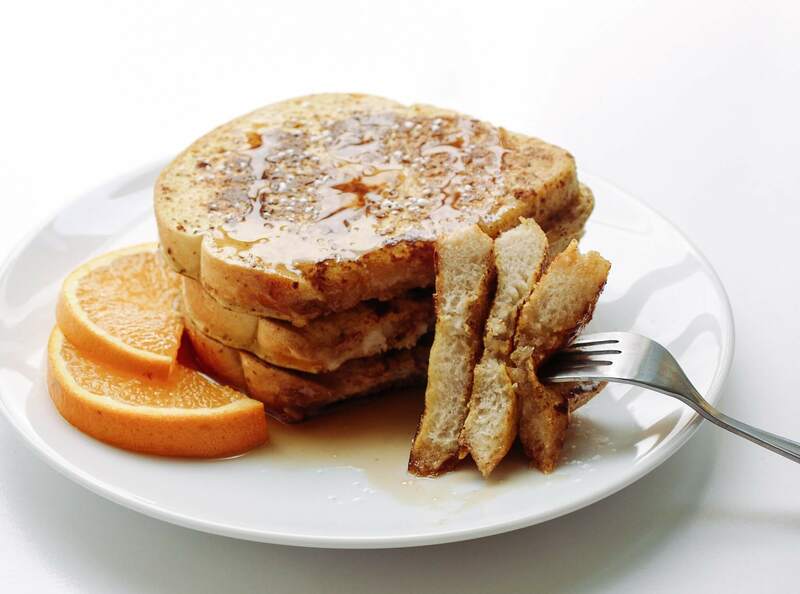 Other alternatives to sugar are the raw honey,natural maple syrup or natural agave nectar.Other people like to make their french toasts with whole eggs,other prefer to use only the egg whites.I like both two.The eggs are one of the best foods on the planet,so you can use whole eggs.And only egg whites,if you want too.